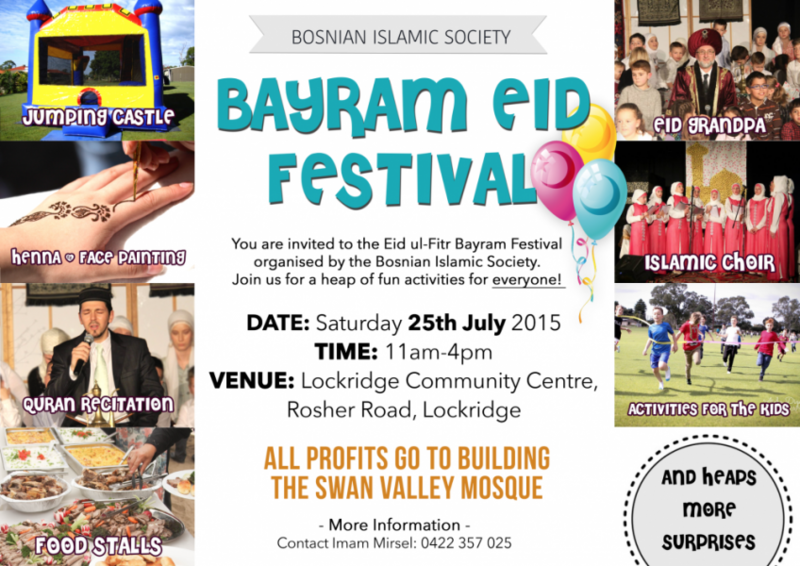 Eid Festival 2015 – Bosnian Islamic Society Perth WA Inc. This year’s Eid ul-Fitr Festival will held on the 25th of July inshaa-Allah. There will be heaps of fun activities for everyone and some delicious food also! So come down and bring the family. ALL profits will go directly towards the Swan Valley Mosque.